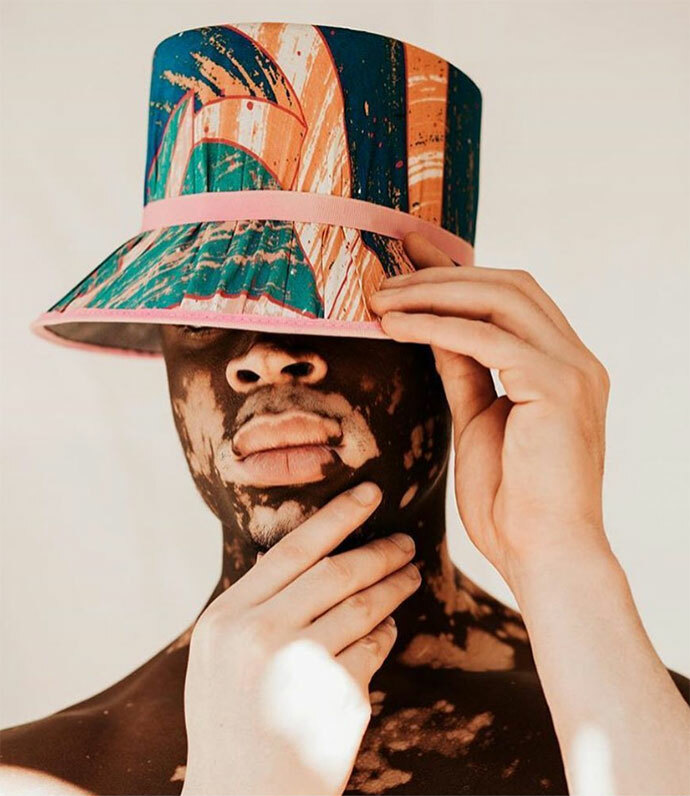 Fashion designer Keith Henning (Adriaan Kuiters) and artist Jody Paulsen joined forces to start this creative collective. 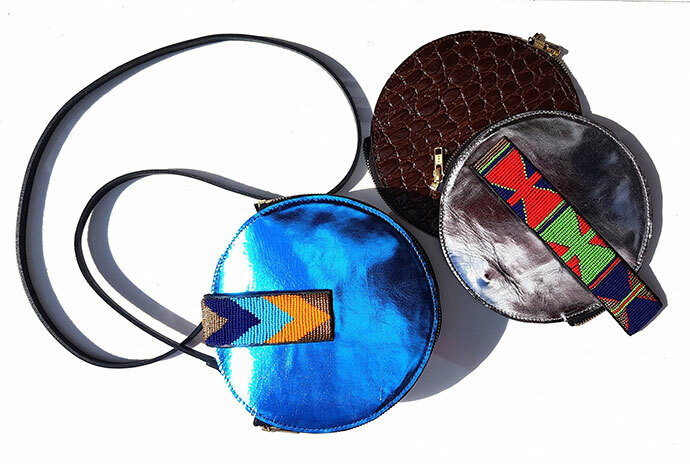 Based in Cape Town, artist and musician Amy Ayanda creates beautiful artworks and clothing. Through collaborations with various product designers, Atang has become a household name when it comes to surface design. Find lighting, mirrors and homeware from this experimental Durban-based design studio. Asha:Eleven works with factories that care about what they do and who they do it with, as well as with small social empowerment groups who have incredible skillsets. They’re also inspired to reduce the negative impact that production has on the planet. bbellamy&bbellamy is a textile studio and curated fabric shop founded by David Bellamy and based in Muizenberg, Cape Town. 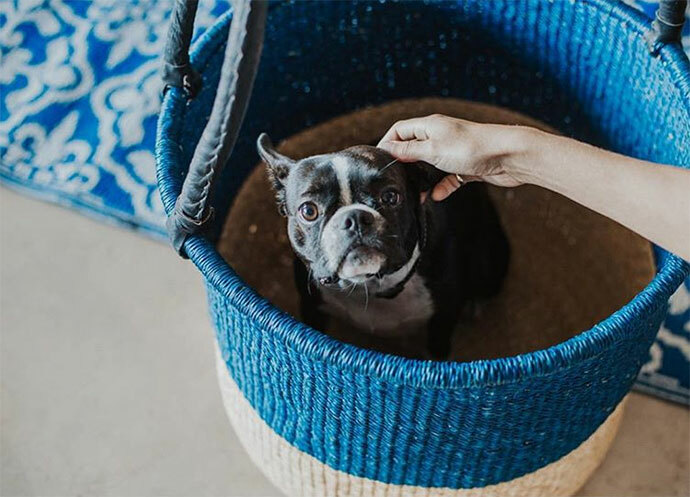 Local pet brand Benji + Moon’s products are sure to keep tails wagging. The brain-child of Christa Botha and Carla Erasmus, this collective creates original collections focused on lighting, furniture and art. Furniture designer Bonga Jwambi makes use of kiaat to create beautiful furniture pieces, including benches, coffee tables and armchairs. Bronze Age is a Cape Town-based art foundry that specialises in the casting of bronze sculptures, utilising both wax and sand casting processes. Established in 1997 by Gerhard Swart and Anthony Harris, Ceramic Matters’ decorative ceramics and corporate ware have garnered an international following. Based in Durban, designer and artist Clinton Friedman creates homeware and fashion items including scatters, art prints, dish cloths, aprons and serving trays. London-trained milliner Crystal Birch worked under Piers Atkinson in the UK before she launched her eponymous brand of stylish hats – “which pair perfectly with one-piece swimsuits,” she says – in 2014. In 2018, she became a director of the 82-year-old hat factory, Parisian Milliners, where her unstoppable energy is directing the business into the 21st century while retaining its hand-made charm. David Krynauw is the creative behind his own local solid wood furniture studio. 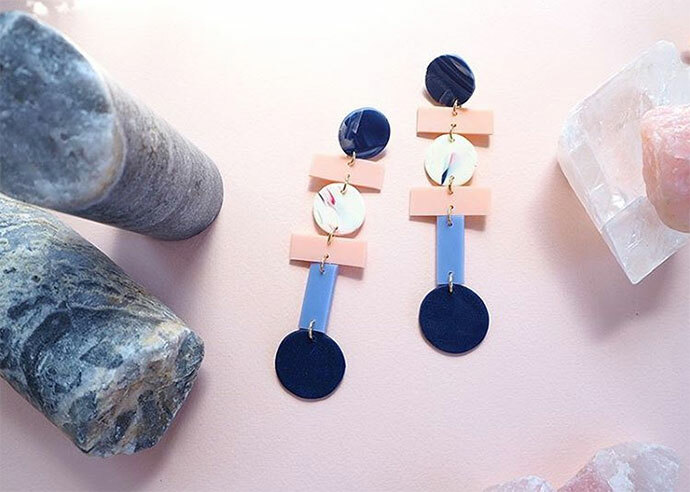 Cape Town-based jewellery designer Karin Rae creates striking and whimsical pieces. It’s impossible to talk local furniture design without mentioning Adriaan Hugo and Katy Taplin’s brand. Looking for contemporary bespoke furniture? Founded in 1996 by Greg and Roché Dry, Egg Designs has found the golden mean between personalised and trendy. This Durban-based textile brand designs bold fabrics that embrace geometric and contemporary patterns. Jewellery designer Famke Koene creates simple, geometric pieces in sterling silver and gold. We’re crazy about this industrial designer’s style. Make sure to check out his Jozi-inspired stainless steel bookends. Frank Conradie is a successful illustrator, designer and co-founder of Run Rabbit Run studio in Cape Town. Galago is an ethics-driven, fashion-forward brand, crafted and inspired around Africa, drawing on craft and traditional techniques to create contemporary products. Gisele makes her jewellery designs by hand in Cape Town under her label WAIF. “Is it art? 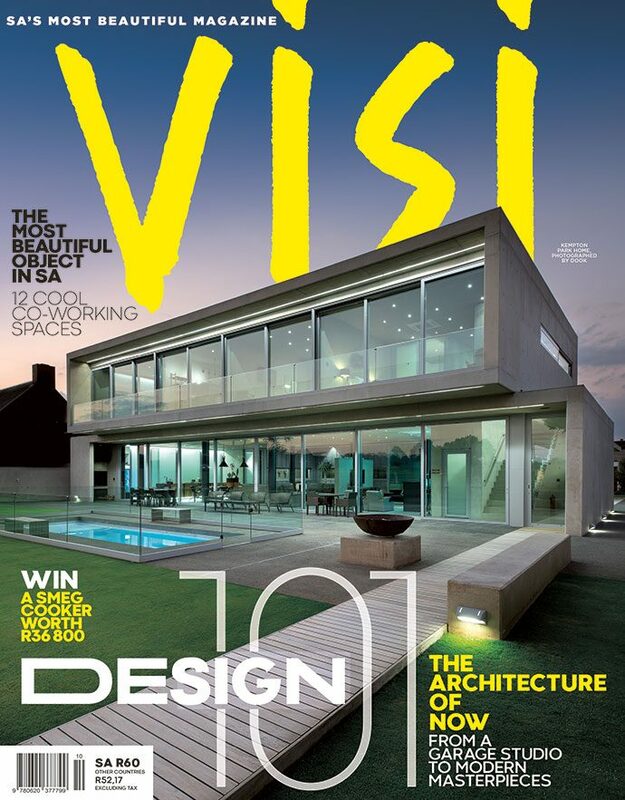 Is it design?” we find ourselves asking when we see the creations of Gregor Jenkin and his team. Established in 2002, this furniture and interior design studio has grown to be among the best known in the country, having picked up clients such as Cécile & Boyd and Woolworths. Creative director and multidisciplinary designer Hamzeh Alfarahneh is behind NOT JUST A COMB, a collection of one-of-a-kind fabricated ductile combs. Hoi P’loy is a vintage lighting company based in Cape Town. The brand was created as a play on the Ancient Greek expression ‘Hoi Polloi’ as well as the name of company co-founder, Ploy Phiromnam. Headed up by furniture makers Phillip Hollander and Stephen Wilson, Houtlander’s pieces draw on Scandinavian traditions. All made of oak, a durable wood with a lovely grain, Houtlander’s designs are minimalist, functional and sturdy. With her hand-pinched collection and his pieces inspired by influences as varied as the works of Picasso and the practice of body scarification, co-founders Zizipho Poswa and Andile Dyalvane continue to raise the bar for ceramics in SA. Cape Town-based designer and entrepreneur Zaid Philander is changing the world “one stitch at a time”. The simple pleasure of sleeping under exquisite bed linen is unsurpassed. Ithaca’s locally made and hand-finished pillowcases, duvets and throws promise a perfect night’s rest. “As an interior designer, working with fine fabrics for many years almost left me no choice but to create something exquisite that we can use and appreciate in our homes on a daily basis,” says Ithaca owner Ilze Swart. Jade Klara graduated with a B.A from UCT and a B.A from Vega. In her work, she plays with whimsical imagery and narratives. Jade currently works from her studio in Woodstock. Creating beautiful furniture using traditional cabinet-making techniques is in James Mudge’s blood. For locally made gifts, beautifully wrapped and delivered countrywide, check out the online shop Jimnojean.com, which sells local artists’ work, homeware, jewellery, fashion and conscious beauty products. 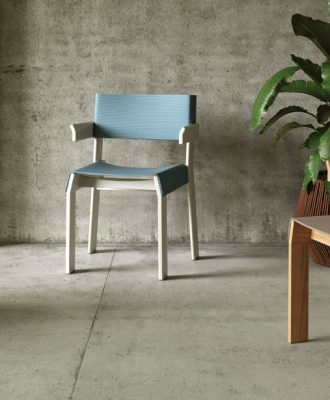 This product and furniture design label prides itself on creating products that are “inventive but simple, sophisticated without pretension, with a focus on outdoor application, plants and birdlife”. Founded by Richard Stretton, this studio combines a furniture design and an architectural practice. Much of the furniture is designed in collaboration with architects and interior designers. This award-winning designer is the founder of Wiid Design, a Cape Town-based design studio with a contemporary furniture range. Be sure to have a look at his iconic benches. Lichen & Leaf is a multi-disciplinary Cape Town-based studio that sees Cynthia Edwards hand craft all the items alongside an outsourced team of talented artisans and craftspeople. We just love her bold earrings. Ceramicist Lisa Firer’s unique porcelain vessels are created through a hand-rolled slab-built technique. Love Milo creates a variety of products in cork and textile, in addition to prints on 100% cotton using sustainable and eco-friendly hand printing techniques and ink. 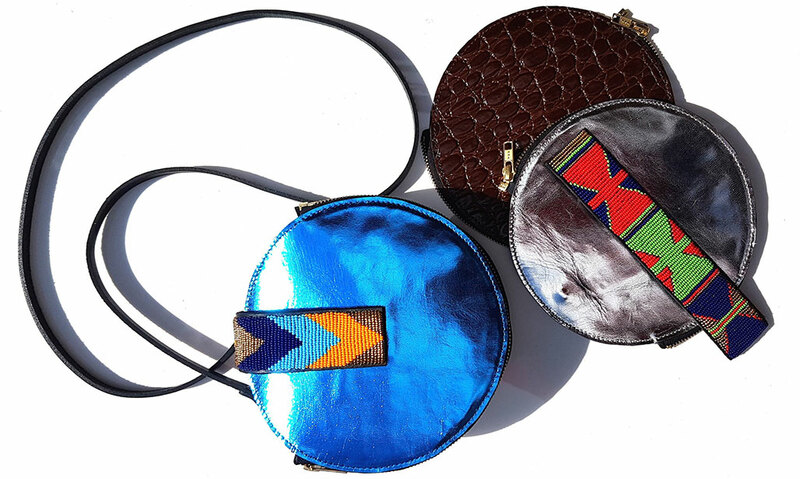 Andile Mdakane launched MAG Urban African Accessories in 2016. Inspired by ancient African symbols rich with meaning, MAG earrings and brooches come in various shweshwe finishes. 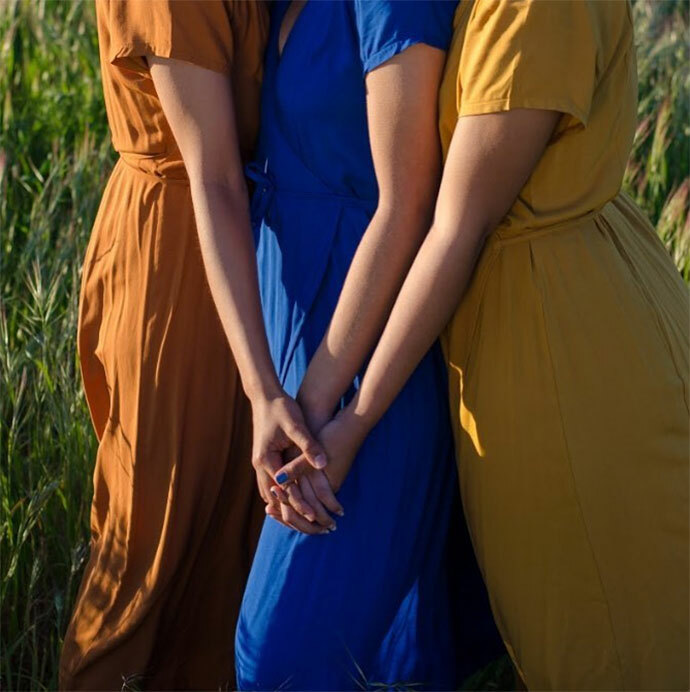 Mantua Silkwear scarves, which are locally crafted in Stellenbosch, aim to transcend trends, creating designs that are multifunctional, versatile and not limited to a particular season. Owned by textile and clothing designer Juandi Andrag, the scarves are inspired by art and the way silk reacts against the skin. Headed up by creative director Thabiso Mjo, this interior and product design firm aims to re-imagine the African aesthetic. 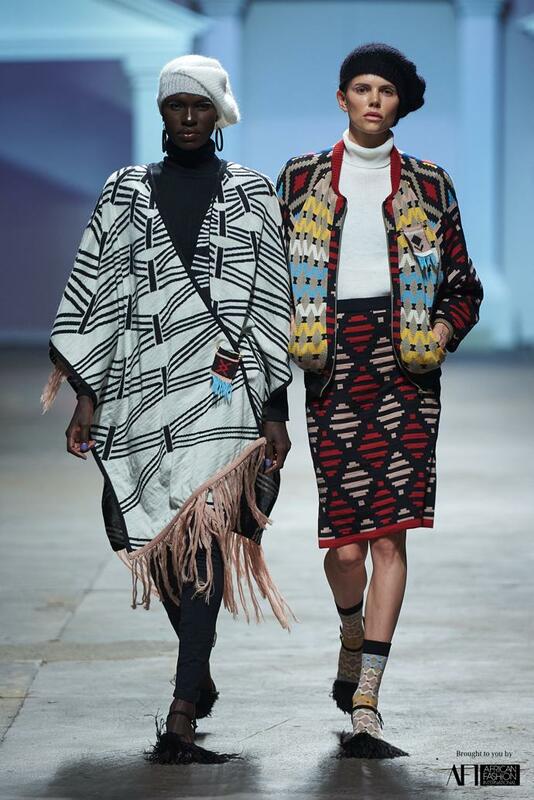 The MaXhosa collection is a vibrant ode to the evolution of African style. Merwyn Gers Ceramics create functional objects from clay, including jugs, plates, mugs and bowls, from its studio in Cape Town. Micah Donnoli appeared on VISI’s radar thanks to his striking combination of concrete, wood and oxidised copper in a sideboard. Michael is the founder of Chandler House, a small design studio, antique shop and art gallery. He has an eye for the old, rare and beautiful, and a keen sense of how it fits into the now. Simone Stiglingh, owner of Moss & Moon Apothecary, is passionate about creating products that contain only natural ingredients and essential oils. She was born into a family who all have sensitive skin, so she has always preferred to turn to nature or the pantry rather than commercial products. Moss & Moon is a collection of her best recipes formulated into shard-like soap bars, oils, creams and tinctures. “From our mill to our shop, from us to you.” Mungo is a South African story of textiles inspired by history taking it into the future. We are captivated by this sculptor and jeweller’s botanical sculpture series (made using plant castings), which hits that sweet spot between art and design. Textile designer and fine artist Nicky Levenberg created the contemporary homeward brand, AUREUM. Traditional craftsmanship and a contemporary aesthetic make this design studio and retailer one of our favourite purveyors of African luxury. Gauteng-based Paper Republic specialises in the creation of functional paper products, decorative items and eye-catching installations. 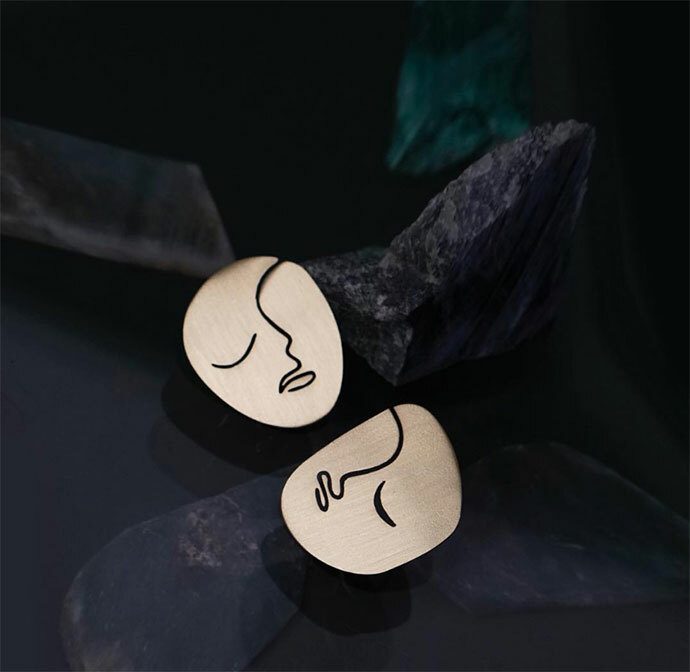 PICHULIK is drawn to the intimate relationship women have with jewellery – how it speaks of a woman’s travels, her mother or grandmother and the people she has loved. Inspired by the designs of the Cape Dutch Settlers and French Huguenots, and drawing on Shaker-style simplicity, Pierre Cronje revises these traditions into unique, iconic furniture pieces. Artist Porky Heffer spent 16 years in advertising, then founded the creative consultancy Animal Farm and Porky Hefer Design in 2011. His public sculptures and product and furniture designs have won him international recognition. The home of “kooky decor and genius gifts”, this design business sells items collected by Ingrid Corbett, and sometimes created by Ingrid in collaboration with local creatives and artisans. A trained artist and architect, Renée creates patterns, products, murals and art. Robin Sprong Wallpaper is a Surface Design company that specialises in creating incredible imagery for interiors. In 2003, Ronel Jordaan, having been a textile designer for 26 years, began researching the possibilities of using felt as a creative medium. Entirely self-taught and following her own creative instincts, she began to turn fine gossamer thread into robust felted forms. 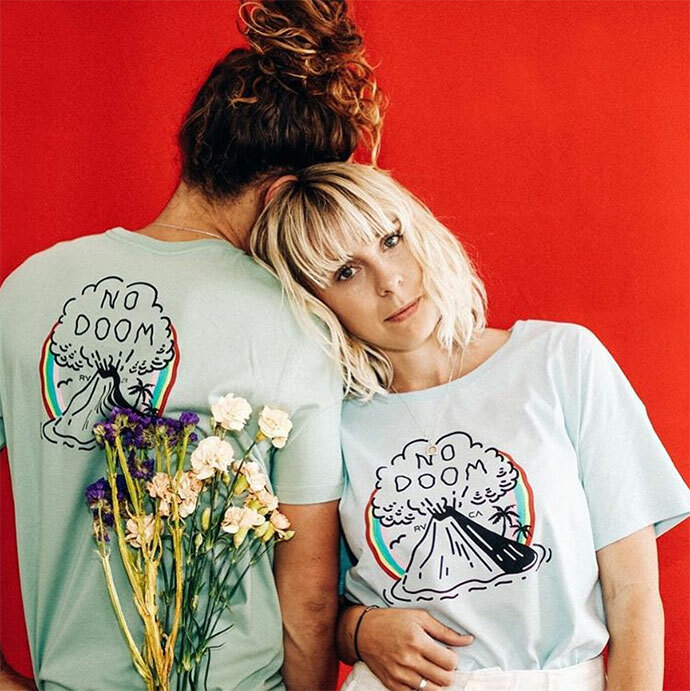 Sama Sama was started by Kimberly Lardner-Burke and Max Basler in early 2018, bringing out clothing with a focus on an understanding of movement, unrestricted feelings and with compassion for the body. The clothing is designed to be comfortable while maintaining style and using fabrics which are 100% natural. “I more than love the process of creating or bringing imagination to life. I have this insane passion to imagine and create. For me, this is what design is about,” says founder of PATE Arts and Crafts. Founded in 2014 by Hannah Rubin, Skin Creamery aims to be kind to the planet while being kind to your skin. We love the idea of minimising clutter in your bathroom by having a few well-designed products that don’t compromise on quality. And you can order refills, too. This Cape Town-based textile design studio, founded by Heather Moore, maintains a strong focus on Scandi-inspired, Japanese-influenced pattern and colour, with a dose of African chic thrown in for good measure. 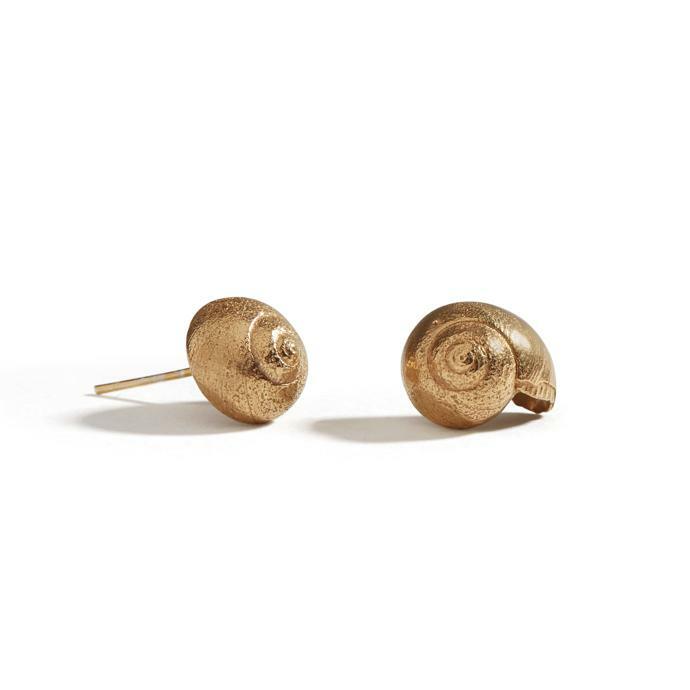 Anna Raimondo, founder and Creative Director of SMITH Jewellery, celebrates the coast in her latest collection, entitled Shoreline. A small Cape Town based studio making one-off, highly translucent slip cast porcelain and stoneware vessels. 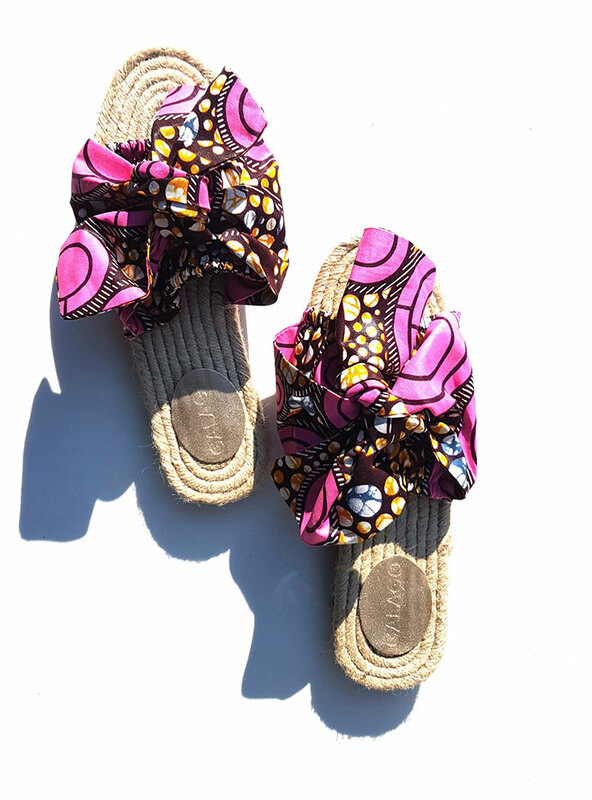 Nature is at the heart of Lula, from the inherited craft of the weaver bird; the natural and organic material used to craft the product; and the human interaction with it. Browse its collection of hand-woven lifestyle products that celebrate local artisans making with heart. 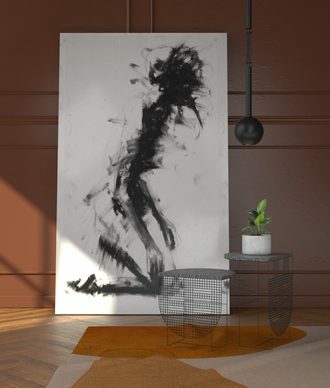 This contemporary African furniture and product design studio, founded by designer Mpho Vackier, creates products for stylish spaces, from planters, chairs and nesting tables to floor lamps and ottomans. Tydloos.com makes bespoke wall clocks. Founded by Fayaaz Mahomed, Unfayzdesign creates bespoke lighting and furniture using industrial and hand-finishing methods. Furniture designer John Vogel, who trained as an architect, designs and manufactures imaginative pieces inspired by South Africa’s plants, animals and natural landscapes. His work has helped to define a distinctly South African aesthetic. Started by Adam Hoets and Sian Eliot, this studio designs and makes grand chandeliers using a patented method of attaching ball-chain to laser-cut steel frames. Adam is now the sole owner. Wolf & Maiden offers an impassioned salute to the craftsmanship of old combined with a design ethos embedded firmly in the future. It’s fine handcrafted products are made from sustainable natural materials of the highest quality. This photographer and furniture designer’s creations have a sculptural feel, and sit comfortably in that space where design and art meet. A mother and daughter duo, Sue and Robyn Britz, are behind this studio that creates fun, quirky pieces ranging from furniture to printed cushion covers.